When you’re in the market for choice roofing services in Grovetown, GA, Raborns Roofing & Restorations is the company to call. Our roofers are able to provide all around services to the various roofing systems around the area. It doesn’t matter what problem you may be facing, our roofers have it under control. Not only do we offer services the roofs of homes, but we can remedy difficulties with commercial roofs as well. So when you find yourself with a question or are in need of effective roof repairs in Grovetown, GA, don’t wait to give us a call by dialing (706) 814-3207. If you can’t seem to find the repair or installation that you’re in need of on our lineup above, please contact us at (706) 814-3207. We have in office representatives available that are here happy to respond to all of your inquiries and assist you in any way they possibly can. Raborns Roofing & Restorations goes above and beyond making sure that you’re getting premium grade roofing repairs and services in Grovetown, GA. Not only that, we want to make sure that the entire process is as stress-free as possible for you. whole process and guarantee to leave the work area as clean as we previously found it.|We come to your home or business, walk you through precisely what we’ll be doing, and leave the site as clean as it was when we started. We believe each of our customers should have access to the best best roofing services available. 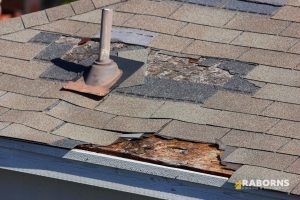 We provide roofing repairs and other services to commercial and residential sites. Each of our customers’ 100% satisfaction is our primary for us. If you are not totally happy with the finished result, then we have not finished our job. Raborns Roofing & Restorations is the only name you need to know when you are seeking a roofing contractor in Grovetown, GA. Please call us at (706) 814-3207.